One of the main features of mobile applications is that its development should be focused on the user. For this reason the design of graphical interfaces must be usable, efficient and effective, among other properties of HCI. The acceptance of mobile applications and the device are affected by personality, cognitive abilities (memory, spatial ability and verbal ability), age, and experience in mobile technology by users. Even if there are methods and techniques to design graphics user interfaces, there is a limited styles for the interfaces for mobile applications. The proliferation of mobile devices has generated the emergence of various platforms. This variety of mobile platforms there has generated a several set of widgets. However, this set of widgets is not cross-platform. That is to say, not all widgets are available on all platforms. 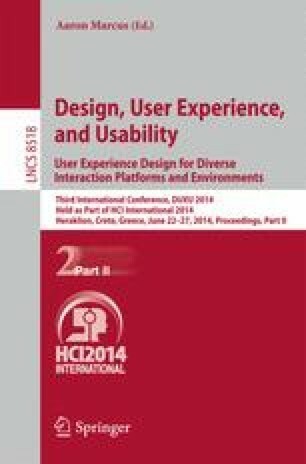 Developers have the problem that must generate native applications that have the same level of usability between different platforms or to generate cross-platforms applications that comply with the HCI properties: usability, effectiveness and efficiency. Moreover, if we want to achieve applications to automatically adapt its GUI to the mobile platform (OS and device), requires some equivalence between the widgets on each platform and also, you should know the styles of organization of widgets for each platform. One solution to this problem is to have usability equivalences between different widgets for each mobile platform. We propose the equivalence of widgets with two properties: functionality and usability. Possibly the most important widget sets are related to the navigation of mobile applications. In this paper we present an overview of the widgets of the main mobile platforms and a taxonomy of them. It also presents the study of some equivalences in widgets that allow navigation in mobile applications.